The blame comes on machine learning programs that process data faster and create targeted email campaigns. Cybercriminals are adopting machine learning just as fast as businesses are turning to analytics and machine learning platforms. The more personalized marketing campaigns are getting, so are the phishing emails. It’s a strange but quite threatening reality we are living in right now!It is no secret that brands want to launch automation campaigns that are targeted and personalized. With marketing automation features that include automated drip campaigns that are behaviour-based, intuitive landing pages, social media presence, dynamic contact list segmentation, etc. brands are now focussing on establishing a brand-customer relationship. And to do this, email automation aids the most. It is no secret that brands want to launch automation campaigns that are targeted and personalized. With marketing automation features that include automated drip campaigns that are behaviour-based, intuitive landing pages, social media presence, dynamic contact list segmentation, etc. brands are now focussing on establishing a brand-customer relationship. And to do this, email automation aids the most. The first quarter of 2016 witnessed a dramatic rise of phishing emails with malicious attachments. By the end of 2015, the number of phishing scams began to grow. By the end of Q1 2016, this growth took a sharp upturn.In an alert issued on April 4th this year, FBI warned about the dramatic increase in business email scams. These so-called “CEO Scams” are emails sent from an identity that poses to be the CEO, a company attorney or a trusted vendor. According to this alert, the average loss per scam is more than $25,000, to say the least. With over 79 countries along with U.S. filing complaints of phishing emails, it is important to get acquainted with tips to avoid such scams. The best way to avoid phishing attacks, companies are blocking malicious emails with DMARC (Domain-based Message Authentication Reporting and Conformance) standards. These emails are blocked by the companies even before they reach the inboxes of their users. Courtesy the growing amount of threats, brands must join hands with a vendor capable of providing email threat intelligence data. Such data will give brands more details about such attacks that go beyond the DMARC. For instance, scams that use stains a brand by using domains outside the company’s control. The best way to avoid email phishing attacks is through implementation of proper DMARC records. Despite so many efforts, some phishing emails do end up in the users’ inboxes. These messages are so compelling and convincing that over 97 percent of users agree to have believed them. These days, phishing emails are also highly sophisticated that eliminates any chances of suspicion. This means the need of the hour is to educate users about the minute pointers that can save them from falling for a phishing email. Here are eleven tips that can come handy for everyone. Now, “secure.com” domain is not owned by My Bank. Although My Bank has set the DMARC policy to reject emails that fail to authenticate, this email will not get blocked. When this email reaches the user’s inbox, it will be difficult for the user to identify it as a scam. This is because you only see the display name in your inbox. Display names can be fake. It is important to check the email address in the header ‘from’. If the email looks suspicious, ignore or delete the email asap. Before you click on an in-mail link, hover your mouse over it. See if the link looks suspicious. You can also test the link. Just open a new tab and type out the website address. You will know whether this is malicious or not immediately. High alert advice: Do not click on links that look suspicious. #3. Spelling mistakes are unforgivable! No brand will risk in making a brand impression with spell errors. Spell and grammar errors are a strong pointer to a scam email. Same is the case with grammatical errors. The main highlight is, a brand will never make such mistakes. So, if you see a spelling error or feel the grammar be odd, report immediately. Personalisation is being taken very seriously by brands. Every brand is trying to incorporate personalization into their email campaigns to connect better with their users. If your email is addressed to a “Valued Customer” rather than you (addressed to you by your name), you know it’s a scam. Legitimate brands and banks will never ask for your personal information. Any email that requires you to reply with sensitive personal information just put them into trash asap. Why would a brand try to scare you? A brand will always be humble! That’s how customer support works. So, if you see an email with a subject line that invokes a sense of urgency or fear, beware. Legitimate brands will always include their name or contact details. They would always want their users to communicate with them. If you see no signature or weird signature, then it is a phish. Phish emails mostly contain malicious attachments that contain viruses and malware. These can damage your computer, get access to your passwords or spy on your web activities without your knowledge. Do not open attachments about which you have no idea or you are not expecting to receive. #9. Email domains can be spoofed too! Not just display names, but also the email domains can be spoofed. Fraudsters manipulate email domains. So, you need to be extra careful. For example; you have an account with PayPal and you are receiving an email from email of format @payypal.com about resent of your password; then, you must check the email sender domain name before you take any action. Phishing is not that easy to detect. Fraudsters are pretty good in camouflaging their manipulations. The email address may seem valid, and the display name might look real- but they may not be legitimate. Having a skeptical approach to unknown emails is safe. Many a time fraud/phishing emails appear to be sent from Government organizations, non-profits and well know company brands/person. Last but not least you must browse the internet or open any links from the email into browsers which have built-in protection to alert about phishing emails/ links; the range of these safe browsers include Google Chrome, Internet Explorer, Firefox Mozilla, Safari, and Chrome. How Phishing Emails Impact Email Marketing? Due to the implication of DMARC standards; mailbox providers have also started to implement this format to their mailbox users and have begun showing information about the authenticated security of the received from email domains. So, going forward email marketers should also lay emphasis about the implementation of DMARC standards to their sending domain names. Further, marketers should also confirm with their respective email service providers to encourage the use of DMARC standard in sent emails. Having DMARC standard followed correctly on email sending domains increases the probability of the email landing in inbox of subscriber. If you get an email that looks remotely suspicious, ditch it immediately and feel free to mark those suspicious emails as spam. Better safe than regretting! Sharath is a passionate and determined marketer. He is interested in building and exploring new marketing strategies in internet product and services since 2015. He loves traveling and long drives. Amazing information about phishing emails. I will follow these updates. Thanks for the valuable information. It’s beneficial to me to gain a clear understanding and overview of phishing emails. It was an informative article. Thanks a lot for sharing the information regarding how email campaigns get an impact from spam emails. Phishing emails are the vital reason for scams. Hence, this entire blog contains the most relevant information about how to identify phishing emails. Thanks a lot, Ankit, I found the article very interesting as it is a great resource. 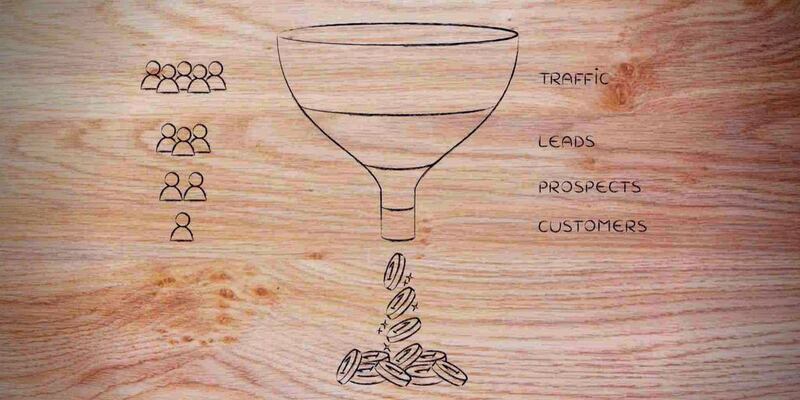 As newbie I saw it as an excellent guide to make my marketing campaign successful. As an email marketer, I can clearly understand that the harmful effects of phishing attacks as it an effect the marketing emails to a great extent. These methods are really helpful. Every individual should be informed about all these happenings. I am very fearful of my digital footprints and the information I allow access to. Nice article, will definitely help me tell apart genuine emails from insincere ones. This blog was very necessary for me; I get spammed always. Now on I will be careful. Yeah, phishing attacks are more rampant than ever before, and the best defense companies have against phishing attacks is to block malicious emails even before they reach customers with the DMARC standard. Sadly, no matter what companies do, some phishing emails will always make it to inbox. And the worst part is that those messages are exceptionally effective. Like almost 97% of people around the globe cannot identify a sophisticated phishing email. Your blog post has provided lots of good advice! Loved all that you shared and you are right the phishing messages are so compelling and convincing that I agree to have believed them. Thanks for great insights! It is so true that the phishing emails eliminates any possibility of suspicion these days and every passing day it is turns out very tricky to recognize one. The tips given to identify such mails are helpful. Thanks! Phishing emails are the prime reason for scams, DMARC is truly a great tool for blocking the phishing emails, the even commendable number of companies are using it to avoid the scams to spread across the countries. Identification is easy now. Phishing e-mail is a threat to e-mail marketing. 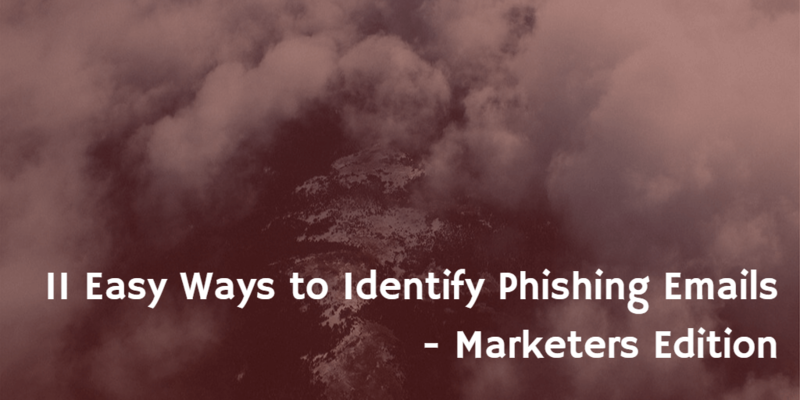 This entire blog will educate you with 11 essential tips to identify phishing e-mails. Every point that has been discussed is correct and essential for a person dealing with e-mail marketing. The blog is written in simple languages for a better understating of the readers. 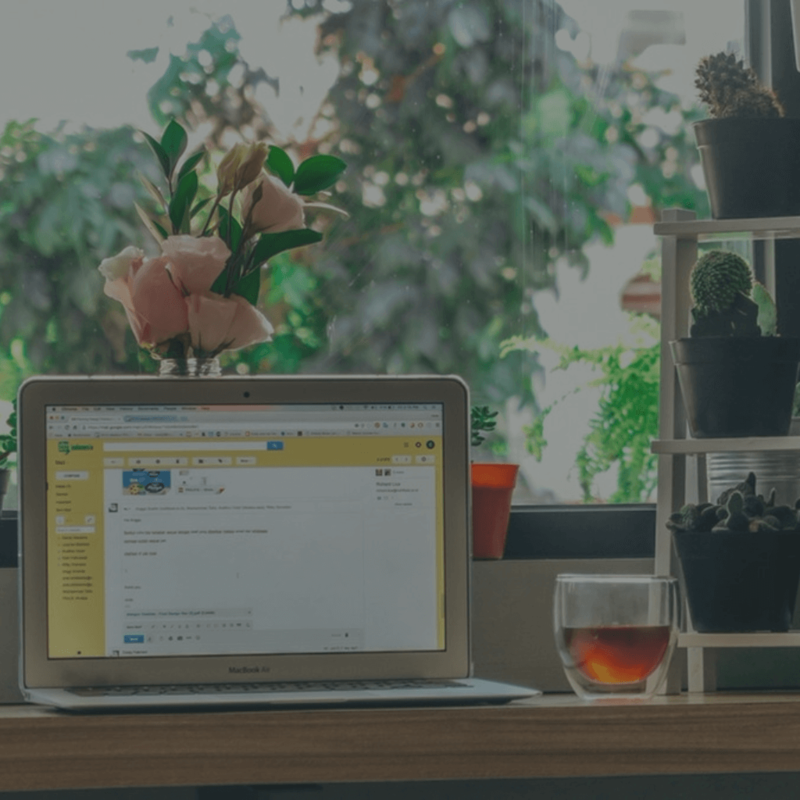 If you are the person involved in e-mail marketing then this piece of writing is a must read for you. Go through it and you won’t find anything better than this. Thanks for the review Esme! Hey, thank you so very much for the guidance. Loved reading your blog. Recently, I have a seen a huge rise in the fraudulent activities, and I was worried about it. However, your blog has made things quite easier for me now. Your tips are great and will prove to be helpful for our organization. Very Informative! I usually get these kind of emails , thanks for sharing these tips. Now I can figure out these emails easily and can take measures on that. Also, a great thanks about letting us know about how email campaigns get an impact from spam emails.